How to be a Finnish Code Ambassador? Finland – the land of a thousand lakes… and kickass code. 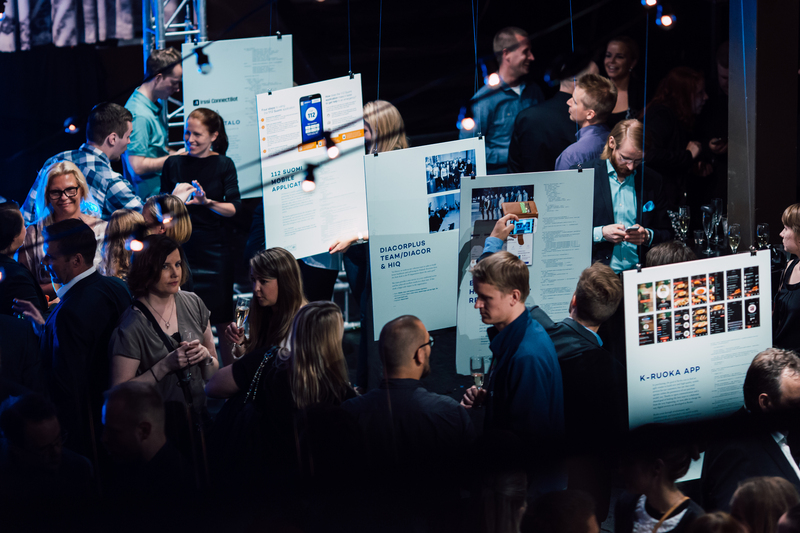 This year in the Blue Arrow Awards we are looking for the Finnish Code Ambassador, a person or a team who have had a significant and international impact on the industry with Finland as the epicentre. Someone who is an inspiration to every creator of digital services in Finland. Someone who tells the world about what we can do here among the trees and lakes. So, what does it take to win this very prestigious title? The first step is to submit your nominee before 7.4.2017! You can nominate yourself or someone else, and participation in the Finnish Code Ambassador category is free! Now let’s talk criteria. The Finnish Code Ambassador does not need to be a programmer. We admit the word ”code” is in the title of this category, but anyone who has promoted, helped, benefited, elevated or indeed developed the digital services industry from Finland is a very strong candidate. Maybe you are (or know) someone who has developed a new, efficient workflow that made your team more productive? Or maybe you are (or again, know) someone who has educated a new generation of Finnish developers? Or maybe you’ve invested in and helped the open source community? Or maybe you just made an amazing and useful piece of software. The Finnish Code Ambassador of 2017 is not a lifetime achievement award. The nominee, or the work of the nominee, should be visible or topical now. In other words, sorry Linus. You’d win infinite ambassadorships otherwise, should someone nominate you! We also value substance. A charismatic individual will go very far in life, but to snag the Finnish code ambassadorship the nominee needs to do more than know how to be famous. Then again, the ambassador should probably prepare for some measure of fame. Also, if you weren’t spoiled by the word “Finnish” in the title of this category, the Finnish Code Ambassador should be Finnish or live and work in Finland. Do you recognize yourself as the next Finnish Code Ambassador? Did the perfect candidate pop into your thoughts as you read this? Submit your entry now, the deadline is approaching fast! Maybe your candidate is chosen to be the next Finnish Code Ambassador. Now there’s a title worthy of the finest CV real estate. Daniel Dunderfelt with contributions from Mikko Torikka (main judge), Janne Kalliola, Pasi Kovanen and Sebastian Hojas.